At D Willis Electrical we offer full-service electrical contractor services in commercial, residential and industrial sectors. We are committed to offering a full diverse range of cost-effective, top quality expert services to all of our clients. 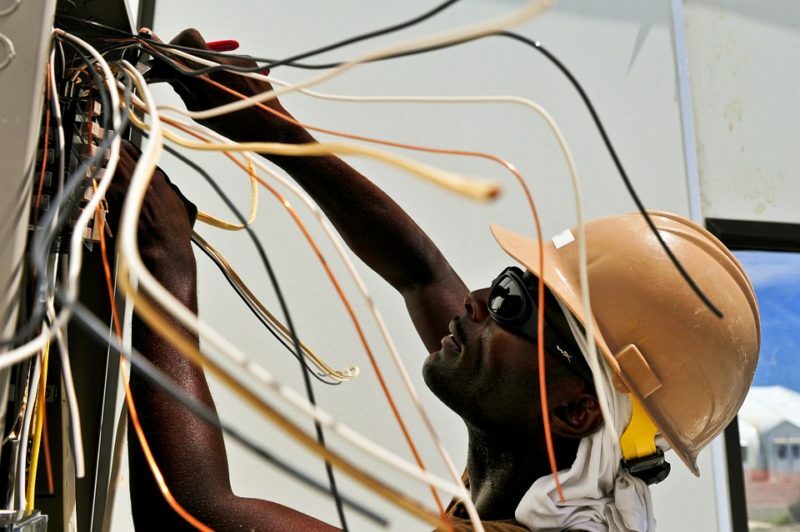 Regardless of whether or not you need a basic repair or large construction, maintenance or communication services or full replacement, D Willis employs highly skilled, fully licensed electricians that pride themselves in providing quick, friendly, and knowledgeable electrical services whenever you need it. Our modern day well-maintained service vehicles are equipped with the up-to-date cutting edge equipment and materials to get the job done right EVERY time. D Willis Electrical gets the job done right. Big or small they are all top priority to us! It’s our valued clients we owe our success to because if they didn’t give us the opportunity to replace their electrical and trust up to make sure they were running premium in the electrical department, we wouldn’t be in business. Whether you need your ceiling fixtures hooked up properly, your switchboard upgraded, or your electrical panel replaced, D Willis Electrical is at your service. Our commitment to you is to listen to your concerns, troubleshoot when required, and offer up professional cost-effective suggestions to make sure we give you exactly what you need. We want you to be happy so you will stick with us for all of your electrical issues and we are proud to announce we have done that for many clients already. D Willis Electrical puts you, the client first, every time! What’s really scary for us is sometimes we will go into a residence or business with our highly skilled electrical technicians to fix a minor issue, and we will discover there is a serous safety issue with something electrical. Our take action approach is to inform the client of what problem exists and offer up solutions. From there we listen to the client and proceed to fix the issue quickly and effectively. Our job is to make sure you are safe and up and running as quickly as possible. That’s what we do. It’s how we build our solid reputation and pride in top quality long-term service. Let us take care of your electrical replacement issues today. Call us!